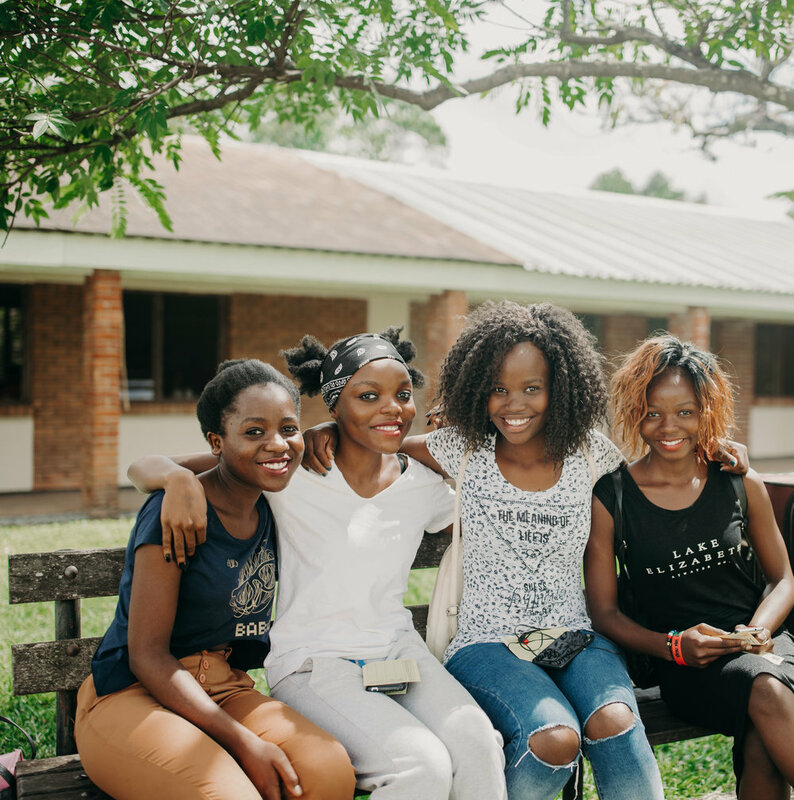 For only $1.30 cents a day you can sponsor a ABC student to help them pursue a higher education and make an impact for Christ in their home country. Thank you for your message! ABC’s Student Sponsorship Director will be in touch. The total annual tuition for a student at ABC Malawi is $3,200. Consider supporting a student on a monthly basis. The predictable nature of reoccurring support allows our students to focus their energy on serving the Lord through their studies and other ministry involvement. Your faithful and generous support of our students is deeply appreciated. Financially speaking, a school year extends from July 1st to June 30th. Consequently, gifts received in June assist with his financial responsibilities related to the classes he just completed. For some students, graduation hinges on a sponsor's willingness to provide a June instalment of their monthly gift. Sponsor a Student for $39 a month and HELP TRANSFORM A STUDENT AND A CONTINENT! I am here at African Bible College to train and fully be equipped with the right armour of God in a christian environment which will assist me to minister to people since more laborers are needed in God's kingdom. African Bible College's gradutes are an inspiration to the society and its everyones desire to study at this college. I received Jesus Christ as Lord and personal saviour in the year 2001 though the journey hasn't been smooth but God has been faithful and just to me and has seen me overcome the challenges and to him be the glory. During my free time, i like playing and watching football. I am married and have one child who is three years old. My name is Susan Joana Banda, a young lady from Lilongwe, Malawi. I stay with both my parents and they are both Christians and employed. On my free time, I like sharing stories with people, reading different books and also watching different games. The dream to study with ABC began after I read Luke 10:1-3 where Jesus was lamenting that there is a large harvest but a few workers to gather it. I went ahead and joined ABC because of evangelical and humanitarian reasons. I have the hunger for knowledge of the gospel to fulfil the great commission. After graduation, I want to continue spreading the gospel and defend the Christian faith from worldly philosophers and false teachings. I lived my past life in Christian orphanage homes until 2012 when I moved on to start a new life on my own. I grew up with other less fortunate Christian children. We were taught the Bible on a daily basis. We had devotions both in the morning and evening, went to church every Sunday, had Bible studies and Bible quizzes, but I was no different from other children who were not attending those activities. I was disobedient and rebellious. Sometimes I felt guilty, but most of the times I felt that I was doing the right thing. In 2012, I suffered from typhoid fever so badly that I could not go out of my room by myself. On my sick bed, I understood that God wanted me to walk in obedience to His word. I made a decision that when I got well, I would commit my time serving in the church as the Lord led me. Since then, I have found joy in serving in the Lord. I decided to enroll at the ABC University because it takes spirituality very seriously and values discipline in training. ABCU sometimes reminds me of those orphanage missions because it challenges me not to make those mistakes that I made in the past. My name is Alinafe Chunga, a young lady aged eighteen. I came to ABC because I strongly believe that it has strong and strict rules preventing students from promiscuous acts. As a Christian college, it also calls even the lost souls back to Christ. Journalism is what I would like to do after graduation. I would also want to become a writer in order to write about God̢s grace and change people̢s approach towards others. I am a Christian and always follow the word of God from the Bible. Dancing, writing and reading novels are my hobbies and as for activities I do theatre. I come from Lilongwe and stay with my parents. My father works for Electricity Supply Cooperation of Malawi and we are a God fearing family. Read through and acknowledge information on sponsoring a student. Select a student to sponsor and connect with throughout their college experience with ABC. Click the “Sponsor a Student” button to be directed to our online donation page. Clearly identify the student you wish to sponsor by listing their full name and campus location in the “memo/note” line. Monthly commitments are ongoing. When a student graduates we assign a new student. Sponsors are kept informed every step of the way and can terminate a commitment at any time through a simple phone call or email. Website users can select the student directly benefitting from their gift. If a sponsored student graduates or withdraws from ABC or from this program, a new student will be selected by ABC to benefit from the existing commitment. Monthly gifts received from July 1 through the following June are applied to the school year that occurs in between those months. One Time Gifts are applied to the current school year (as reckoned from July to June). As with monthly gifts, any amount which exceeds the student’s need or enrollment at ABC will be put in the General Sponsorship Fund to benefit the student body at large. Sponsorship percentages are calculated based on actual tuition costs in US dollars. For Liberia it is $2600. At Uganda tuition is $2900 and at Malawi it is $3200. Students are responsible for the difference between the amount raised and the total tuition costs. Housing and meals are included in tuition prices. At the moment, only students in Malawi and Liberia are available for immediate sponsorship. We look forward to adding Uganda students in the future. You may sponsor a student for any length of time, so long as the student remains eligible for sponsorship. Simply let us know when you’re ready to stop. Through our site, we provide EFT (Electronic Fund Transfer) and Credit Card giving options. The bank charges an additional fee for credit card processing.